Bifenthrin is a pyrethroid insecticide typically applied by pest controllers to protect against termites. It has a high toxicity to aquatic organisms. In July 2012 bifenthrin contaminated Jamison Creek, Wentworth Falls, NSW and caused a mass mortality event of freshwater crayfish and macroinvertebrates. As part of the Australian Crayfish Project we volunteered to conduct a follow up survey of Jamison Creek and similar creeks in the area to monitor the recovery of freshwater crayfish and fish in the creek after this catastrophic event. Results of those surveys were included in a scientific paper which has been presented at 7th Australian Stream Management Conference held in July at Townsville, Queensland. St Lawrence, A., Wright, I.A., McCormack, R.B., Day, C., Smith, G. and Crane, B. (2014). 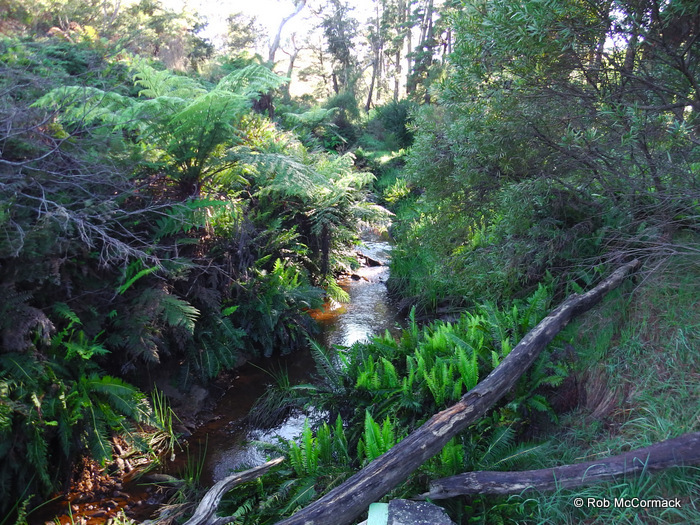 Bifenthrin pesticide contamination: impacts and recovery at Jamison Creek, Wentworth Falls, in Vietz, G; Rutherfurd, I.D, and Hughes, R. (editors), Proceedings of the 7th Australian Stream Management Conference. Townsville, Queensland, Pages 558-567. 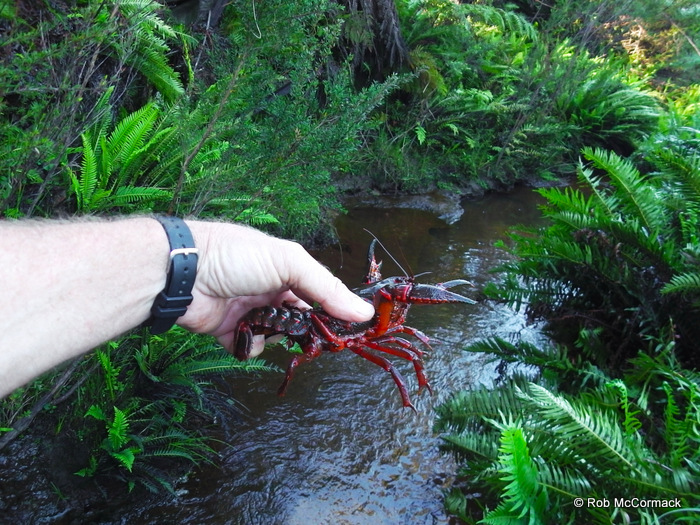 In July 2012, over 1000 dead Giant Spiny Crayfish (Euastacus spinifer) were found in a two kilometre reach of Jamison Creek, Wentworth Falls, including within the Greater Blue Mountains World Heritage Area. 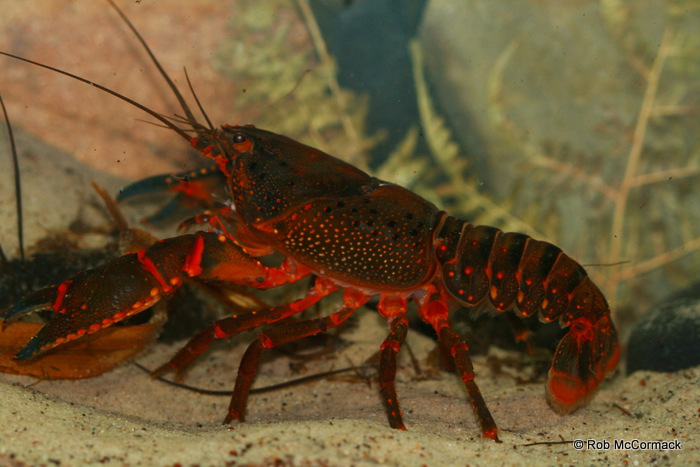 A multi-agency investigation discovered the crayfish were killed by a termiticide, Bifenthrin, and that the effects extended beyond the crayfish to the entire aquatic macroinvertebrate community. The contaminant entered the creek via a conventional stormwater drainage system of pits and pipes, which provided a direct connection between the property at which the pesticide was over-applied and the creek 300m away. The pest control operators involved were prosecuted. It has been long known that pyrethroids are very toxic for most aquatic organisms. Often we’re told that they are decomposed by the time they reach ground water or rivers. However, with each new development, stability seems to increase and with it potential pollution of waterways.Since pyrethroids are nothing but variations of natural substances from plants that most likely stood near rivers for millennia and never caused poisoning, Industry has to develop means of application that mimic that sort of containment or risk bans on these substances like happened to DDT. Robert, I need to identify a crayfish I found at my back door this morning – have photo – Glen Elgin valley, southern boundary of Butterleaf NP, NSW – possibly juvenile Euastacus spinifer ??? I can email photo to you. Thank you in anticipation!